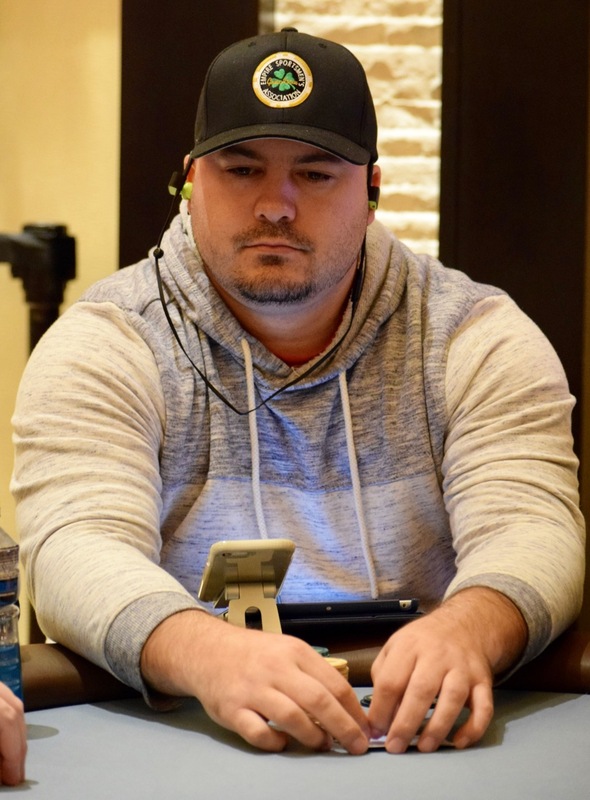 Add Mo Safapour, Jennifer Avila, Randy Gil, Jake Lipton and September PLO Ring winner Roger Bailey (above) to the field here early in Level 3 of Day 1B in the $300,000 Guaranteed $365 WSOP Circuit Event 1. Registration and a single re-entry per player, per flight is available until the start of Level 9 at about 8:30pm - with the day coming to a close at the end of Level 15 at about 12:15am. Survive 15 levels of play and return Sunday at 11am for Day 2, playing down to the first TVPokerRoom Ring winner of 2018.